The Unforgiven departs from Metallica’s previous thrash sound. It creates visions of western epic movies. 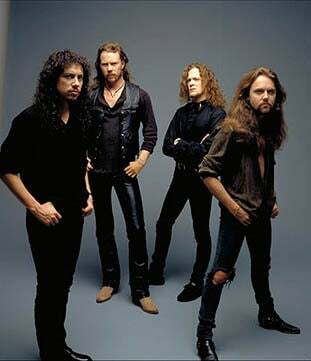 Metallica crossed over from thrash metal epics to hard rock on their 1992 self titled album. The band had success with songs such as “Enter Sandman”, “Nothing Else Matters” and “Sad But True”. Metallica moved from thrash to rock metal on their megahit 1992 self-titled album. Any guitar with humbuckers is recommended. It will be useful for the clean smooth sounds heard in the intro. The twang needed in the chorus can be provided by the bridge pickup. This will also handle the high distortion sounds in the verse. Metallica guitarists have used ESP guitars for many years. They have an excellent range of guitars in their budget minded LTD series. Follow the ESP link to get a better idea of a suitable guitar. The song contains light and heavy dynamics. For the distortion tone look for a pedal that will give you a high gain (distortion) tone. The distortion tone needs to be thick and bassy. Don’t lose the clarity of notes. Make sure you have volume balanced between the clean and distorted sounds. A compression pedal can also be handy when playing single notes with a clean tone. Intro – acoustic arpeggios of the chord. Switch to the lead guitar theme as enters. This theme also will appear in the chorus. Verse – kick on the distortion for the A minor riffs. Chorus – theme as learned for the intro of the song. Intro – Verse – Prechorus – Chorus – repeat as previously played. Solo – quiet solo over the intro chord sequence, followed by overdriven solo played over the verse and prechorus. Chorus – as previously played. Outro – lead guitar themes to intergrate with the chorus theme. A natural minor scale for 6th and 5th string. control of articulations like slides and hammer-ons. A minor pentatonic scale runs.